The church’s practice of infant baptism came under attack in the sixteenth century. Since that time, many churches have rallied against the practice, administering baptism only to believing adults. 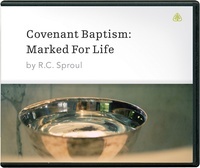 As he addresses the importance of covenant baptism, Dr. R.C. Sproul explains that baptism is to be administered not only to believing adults but also to their children.